There are many potential benefits to becoming part of a local golf club other than just playing golf. In effect, you and your family become part of a small, tight knit community. Most clubs in today’s world are focused on families and offer much more than just golf. They strive to provide an opportunity to get away from the daily grind and to develop personal relationships. Here is a list of 12 benefits that many clubs provide and many clubs may well exceed this number. Generally speaking, your monthly dues include your golf so it makes it very simple and convenient to go to the club for a quick nine or eighteen. 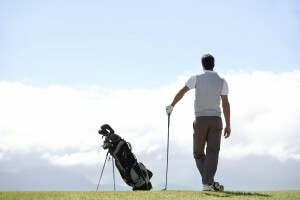 You will have unlimited access to a quality golf course. If you choose to walk, then there is no additional charge and you get the extra health benefits of walking. Playing is also a much better way to work on your game than spending a lot of time on the driving range. Most have openings for members and that makes getting a tee time easier. The few peak times such as Saturday morning are a little more difficult, but generally other mornings and afternoons are no problem. Whether it’s a colleague, client or just a friend, there’s a certain pleasure to have in extending an invitation to come and play at “my club.” Even if you’re covering all costs, paying and playing somewhere just isn’t the same as inviting someone to be your guest at your club. Plus you can also count on the staff to be very attentive to your guests and making sure they have a memorable experience. You will have the opportunity to meet many new people with similar interests and backgrounds. With the help of the golf shop staff, it is easy find a game and eventually develop a regular group if you choose. You are also welcome to continue filling in and meeting even more people. Most clubs offer unlimited use of practice facilities including range balls and there is now a movement toward including golf instruction. Even if instruction is not included you will have the opportunity get to know the golf professional and he will get to know you and your game. This creates a much better learning environment. With a family membership, the entire family has unlimited privileges and programs designed specifically for everybody in your family. It is also a wonderful way to spend quality time together to do something as a family. If they are not all into golf, there will undoubtedly be other amenities and programs such as tennis, swimming, exercising, and more depending on the club. The club will be a member of the regional USGA organization and your dues will include your official handicap. You will also get assistance with score posting such as learning how to adjust your score so that it can be posted properly. The opportunity to participate in the club’s tournament program is available. Many clubs have leagues or inter-club matches that allow you to compete against members of other clubs. This is particularly enjoyable since most matches are done on a home and home basis which gives you the opportunity to play other courses. Most clubs offer members discounts on merchandise sold in the golf shop. If you’re lucky, they may partner with local businesses to get special discounts on merchandise, food, and beverage. Flexibility is about play playing as many or as few holes as you want at no additional charge. This flexibility also includes the rounds played by yourself or with the rare five-some. If you are a golf nomad (not a member of a golf club) this generally means that you turn up, play 18 holes, and go home. One of the luxuries of being a golf club member is the you don’t have to worry about weather or darkness. If you have caught horrific weather or were unable to finish the round due to the darkness, the feeling of wasted money is inevitable. As a member, that’s never a problem. The weather affected rounds, spontaneous 9 holes, and opportune evening rounds all feel like a member’s privilege. It’s never really advertised as such, but I’d bet that it’s a perk all club members would agree with. Aside from walking and playing golf which has already been mentioned, many clubs now have health clubs as part of the amenities that they offer to members. They frequently have trained staff to set up programs for you. As a golfer, maintaining flexibility is extremely important. If you are one of those people that do not work out on a regular basis, this is a huge benefit. Your local clubhouse can be a great place for eating, drinking, and socializing with your friends and families, very often with value-for-money prices. Joining a golf club is not for everyone, but, if you have a family and would like for them to join you when you play, it can be very economical. If your children are already golfers or may be interested in taking it up, it makes a great deal of sense. It also may make financial sense just from the business and networking aspect. You will have the opportunity to associate on a social level with a lot of potential clients and customers.